Curcumin has long been expected to be a therapeutic or preventive agent for several major human diseases because of its antioxidative, anti-inflammatory, and anticancerous effects. 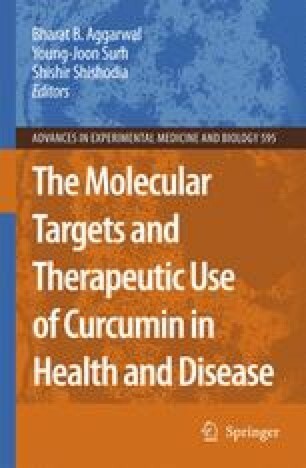 In phase I clinical studies, curcumin with doses up to 3600–8000 mg daily for 4 months did not result in discernible toxicities except mild nausea and diarrhea. The pharmacokinetic studies of curcumin indicated in general a low bioavailability of curcumin following oral application. Nevertheless, the pharmacologically active concentration of curcumin could be achieved in colorectal tissue in patients taking curcumin orally and might also be achievable in tissues such as skin and oral mucosa, which are directly exposed to the drugs applied locally or topically.